The AIUB Journal of Business and Economics [AJBE] is going to start the second volume with the current issue - the eleventh consecutive issue in the history of AIUB since January 2002. In celebration of this grand occasion, the editorial board of AJBE has decided to publish the Address of H.E. Mr. Fidel Valdez Ramos, Former President of the Republic of Philippines; and Chairman of the Ramos Peace and development Foundation [RPDEV] and the Boao Forum for Asia [BFA], during the 6th Convocation ceremony of the American International University - Bangladesh [AIUB] held at the Bangladesh-China Friendship Convention Center, Dhaka, on 5th February 2006. H.E. Mr. F. V. Ramos delivered the speech with a theme of 'Learning is a Life-long Process' as the Convocation Speaker in the ceremony. As the Vice-Chancellor of AIUB, I thank him for delivering a wonderful address to the graduating students in presence of their guardians, dignitaries representing various government and non-government bodies and from foreign diplomatic missions as well as, most importantly, the kind presence of the President of the People's Republic of Bangladesh, Dr. Iazuddin Ahmed, as the Chancellor of AIUB. The article provides a discussion on the concepts and practices regarding standardization and adaptation of marketing strategies used by four leading multinational companies operating in the consumer goods industries of Bangladesh. The research investigates the arguments against and in favor of standardization of marketing strategies, postulated by internationally renowned academics through an extensive literature review. The conceptual framework developed through the literature review has been juxtaposed with the primary research conducted on the top management of the leading multinational companies of Bangladesh. The research outcome reveals that certain market imperatives insist the firms to adapt their strategies, while certain corporate obligations enforce them to standardize the same. Hence, the research finds out the integration of these two extreme approaches by the leading multinational companies operating in the consumer goods industries of Bangladesh. The paper presents an application of the stochastic frontier approach to examine technical efficiency of rice production in Bangladesh. In a translog non-neutral production frontier specification, panel estimations of 23 major rice producing districts over a three year time period show that the technical inefficiency effects are significant and vary across districts in producing two popular hybrids. Key results of the paper include (i) rice production in Bangladesh in general is mostly land fertility intensive; (ii) there is strong interaction effect amongst the factors traditionally used in rice production, and (iii) the production technology of two different hybrids exhibit varying degrees of returns to scale. Operations scheduling, an Operations Management tool, is a major controllable element in the value-addition chain of a production system. Optimization in schedule generation process can considerably cut short the lead-time, which may play an important role in on-time delivery of goods, specially, when penalty is associated with late delivery. Garments production has the major characteristic of penalty associated with late deliveries. Sometimes, the whole lot may be rejected because of lateness, which means very low-price sale of the lot in local market. Thus, scheduling may play an important role in development of competitiveness of the garments industry in Bangladesh. But, existing operations scheduling rules with associated penalty are highly complex. Simulation with several priority rules and Branch and Bound algorithm, with heuristics of Chang and Su, and Adjacent Pairwise Interchange algorithm, with certain assumptions through simplification of the problem, are some possible solutions to this end. This research study shows such an application of scheduling techniques, in order to find out an optimal schedule, in a local garments company. Objectives of scheduling were minimization of lateness and tardiness. Bain and Company Nordic Inc. This study describes how outsourcing of research and development influences the risk exposure and the management of it in an R&D organization. The R&D organization that has been studied is a department that is part of one of the leading telecommunications companies in the world, a company that in this research for confidentiality reasons has been given the fictitious name Telecorp. In the studied organization, which is called Devcenter, many activities have been outsourced to a third-party supplier called Outcorp. This study looked more specifically at three vital questions: what risks are the R&D organization exposed to, what does the R&D organization do to manage risks and how can the R&D organization improve its management of risks? These questions were examined by conducting interviews with mostly managers at the studied department. The people interviewed are for discretionary reasons only denoted by their initials in the study. In addition, literature within the associated areas and internal documents at the department were also studied. The result was that several risks with outsourcing were identified. The majority of these risks were competence-related, while the others were associated to wages, capability and flexibility. Many of these risks have not been dealt with properly, which means that they can have severe consequences for the organization in the future. Hence, an improvement of risk management practices is needed. This can be achieved by doing scenario analyses or creating a centralized database comprising of information regarding risks associated with R&D outsourcing. However, the main challenge is to change the employees' attitude towards risk management. In addition, developing a risk management model adjusted to outsourcing projects is something that many employees have expressed a need for. 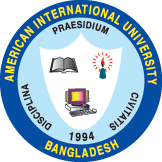 The present paper is a replication of the research study of Dr. Afzalur Rahim (a US university professor, who conducted his study in the US context, drew sample from undergraduate and MBA students of Youngstown State University, the USA as well as from the US national sample of business executives) in the context of Bangladesh. This paper is an outgrowth of a brief analytical study on the measurement of organizational conflict. In this paper, sample has been drawn from the MBA and BBA students of Independent University, Bangladesh (IUB), American International University-Bangladesh (AIUB), North South University (NSU), World University of Bangladesh (WUB), Dhaka International University and International University of Business Agriculture and Technology (IUBAT) as well as from the business executives (list available in the offices of Federation of Chamber of Commerce, Dhaka Chamber of Commerce and Industry, Metropolitan Chamber of Commerce and Industry located in all the districts of Bangladesh) all over the country. The present paper reports on the development of an instrument containing factorially independent scales for measuring three types of organizational conflict: intrapersonal, intragroup and intergroup. The items for the instrument were selected through repeated factor analyses of data collected from three successive samples (N= 445) and/or feedback from the Ss. Data on the final instrument from a national sample of 735 executives and university (students) sample of 175 students provide substantial evidence of reliability and validity of scales. This article sets out the guidelines on the issues of a development matrix (DM) for the development of a small enterprise (SE) sector that developing economies can apply based on their own needs and priorities and thereby plan their agenda. This work wrestles with identifying the determinants are and how these determinants could function in a matrix for creation and development of an SE sector in developing countries. Apart from few inconclusive planning models, there is little in the literature to help with strategic positioning of development programs in a government policy context in developing nations. This paper suggests fundamental parameters upon which to base the design of a DM. An SE development matrix is proposed as a conceptually simple, practical, manageable and useful tool to assist policy-makers, practitioners and concerned institutions in doing their job. The keiretsu structuring of horizontal and vertical relations historically enabled Japan's postwar recovery and rapid growth. The unique mechanisms of corporate relations which are distinctive from Anglo-American model with its characteristics of stable cross-shareholding and long-term continuous relationships, provided business environment with a high degree of security and hence resulted in high level of productivity in Japan's major industries. However, the system may lead to losing of sustainable competitiveness under the dramatic changes of business environment. The deepening economic recession and the effects of globalisation have forced Japan's large firms to reorganise inter firm relationships. The horizontal system was broken up, as Japanese companies have turned to stock market in gaining financial source and pursued their own profit target and other benefits, due to the mega-mergers within the main bank system and reorganisation of large manufacturers which is illustrated with a case study - the alliance of Nissan and Renault. The changes also appeared in the vertical system, the rationalisation campaign aimed at cost-cutting and the establishment of international supplying network have left Japanese subcontractors no choice but facing an open, fiercely competitive environment - both at home and abroad. This has led to formation of a subcontracting system with much looser, open and flexible structure. The fundamental restructuring of Japanese business networks has seen profound effects on Japanese - style management, e.g., the employment system and lean production system, and towards itself to Western-style while may retain Japan's spirit.